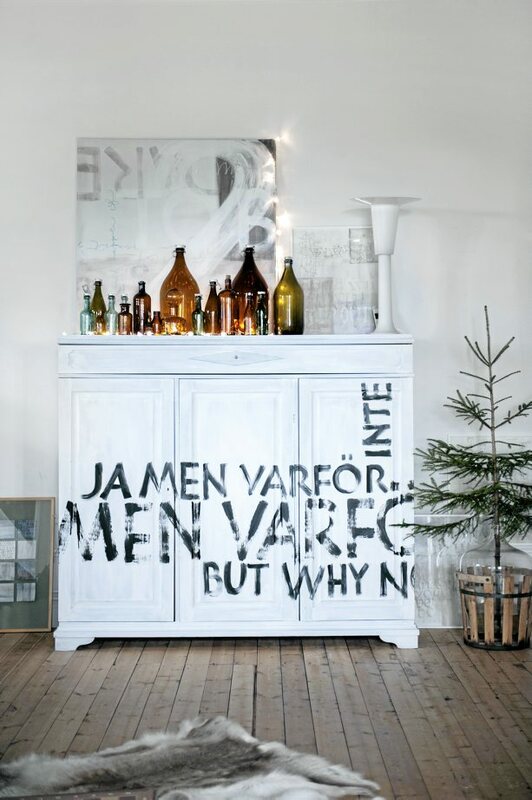 Swedish designer and calligraphy artist Ylva Skarp‘s house spotted on LANTLIV. 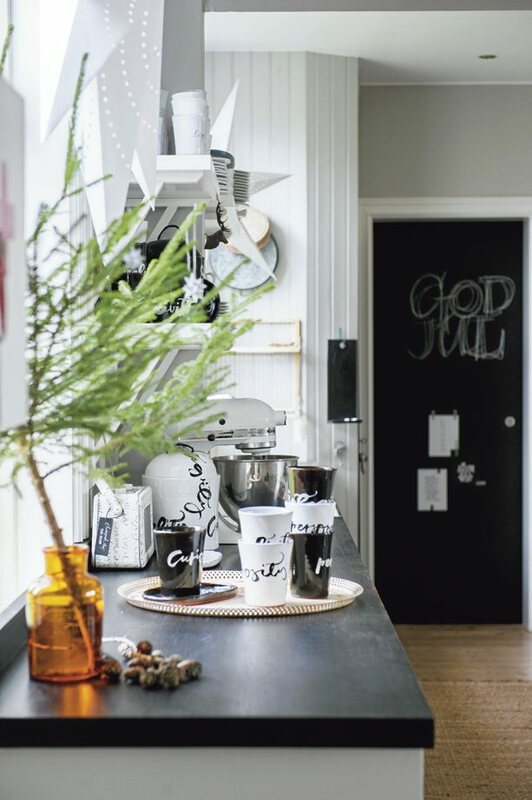 Ylva’s home is absolutely stunning, clean and simple but layered enough to feel warm, creative and inviting. 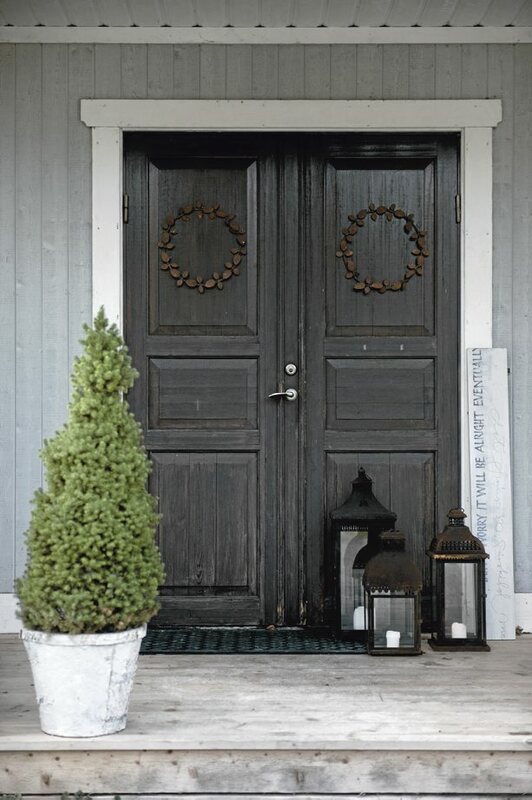 So relaxed and cozy house! Tables made from old pallets, simple paper trees. 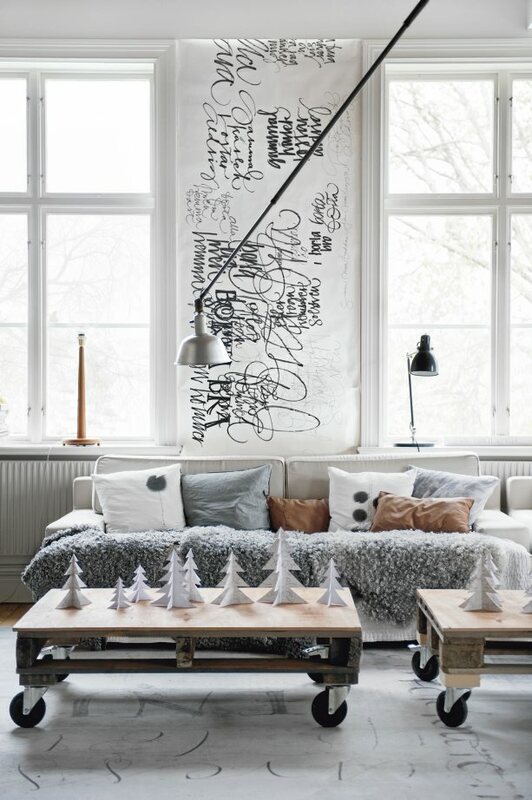 The calligraphy on the wallhanging and rug warms and softens the room. Rustic table with lots of candles, pinecones and twigs. 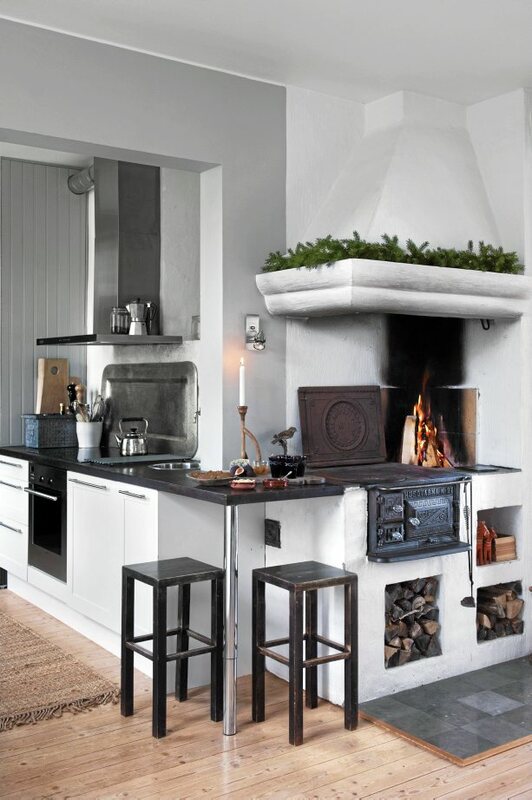 Ylva’s ceramics look beautiful in this setting. A spruce tree twig is used to simply decorate, placed in an old bottle. Large paper stars hang above.